Hola Cottage Fix crew! 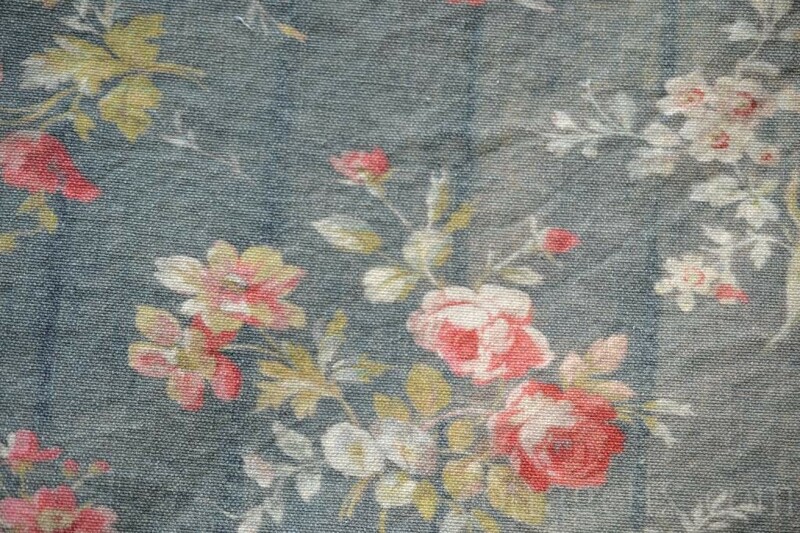 I’m blogging in today with this gorgeous prairie rose fabric I ordered on super sale. It’s from the Rachel Ashwell online shop. There are so many beautiful fabrics on discount right now in their sale section, unfortunately prairie rose went back to regular price. I was lucky enough to snag up enough for pillows while it was still cheap. This is one of my all time favorite fabrics, and when I saw it on sale I just couldn’t resist. It’s a blue–gray background with an easy going floral pattern in raspberry pink and golden green. I love this muted deep color and it has started me on a makeover of sorts, just a few tweaks here and there. Well, we’ll see. Grin. I’m thinking the pillows for our living room, and maybe for the sun porch too if there’s enough fabric. And a new paint color on the dining hutch. 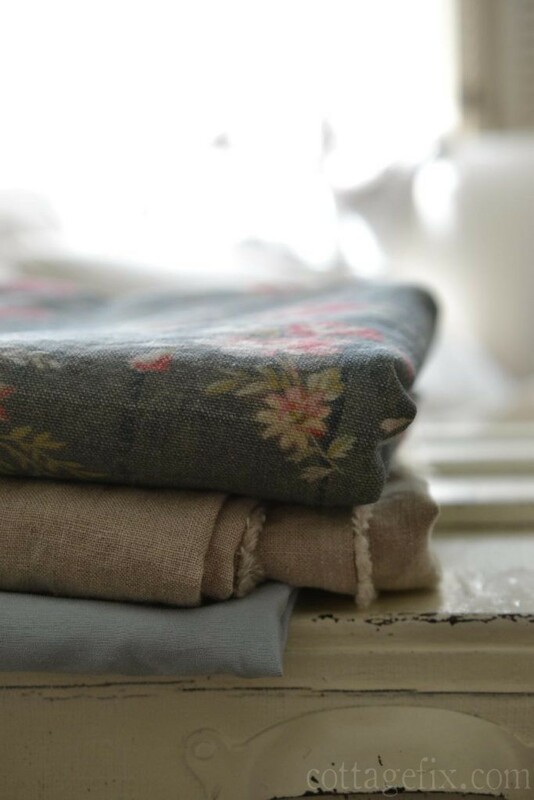 I purchased enough of the prairie rose for several 18 inch pillow covers and they’ll be backed in the neutral linen solid. 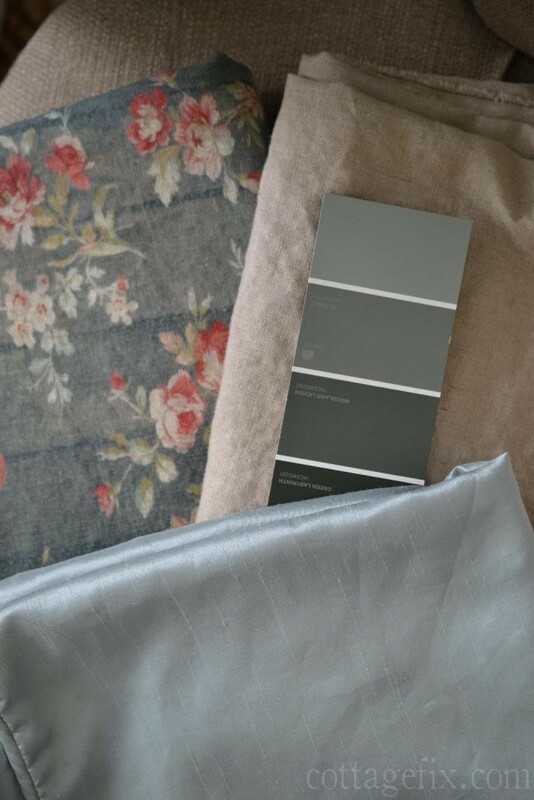 The linen color is actually very close to the taupe wall color I recently painted in our living and dining room. 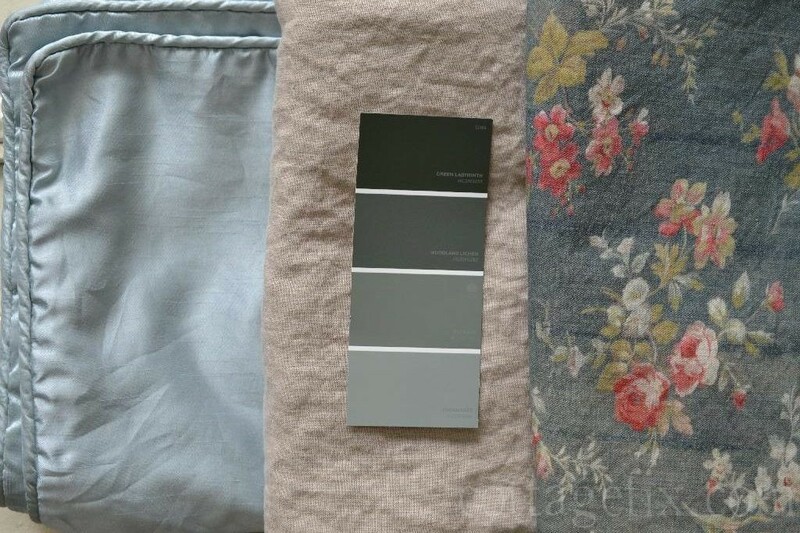 The paint swatch (above) is what I’m mulling over for our dining room hutch—which I also just recently painted Aubusson blue. It doesn’t quite work with the blue–gray in this fabric. Of course! Isn’t that how it goes sometimes! And since the rooms open up to one another I’d like them to coordinate by color. The silvery blue solid fabric is for floor pillows that I already happen to have in my stash. Paisley always loves having floor pillows around!